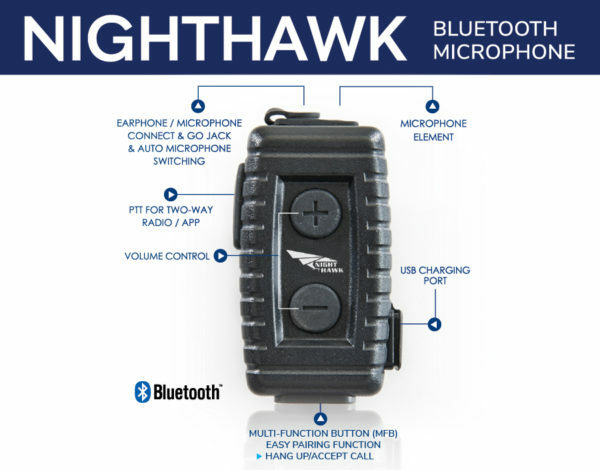 The Nighthawk Bluetooth Body-Worn Microphone delivers secure encrypted Bluetooth technology. 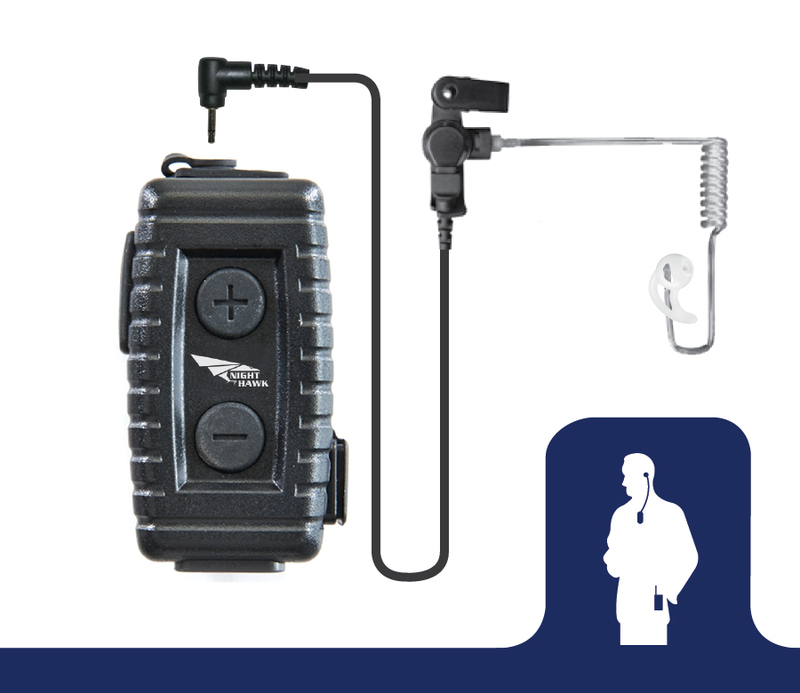 Simply clip the Nighthawk securely on your lapel, The most noteworthy features include full-shift 12 hour talk time, easy pairing, no connectivity loss, & fully functional PTT. 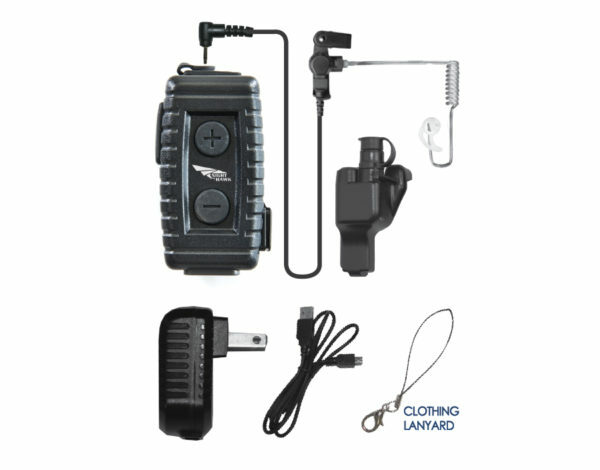 The Nighthawk also features a replaceable professional earpiece with a patented Fin Ultra Ambi ear tip that plugs into a 3.5 audio jack on top of the microphone. 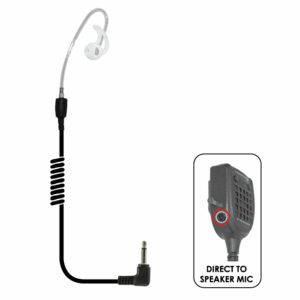 Therefore, you can also plug in additional earpieces for field versatility. 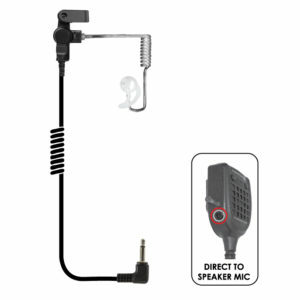 The unit’s battery is rechargeable via a mini USB port located on the side of the microphone or the battery can simply be replaced. The Nighthawk delivers on-the-go audio benefits anytime, anywhere. New firmware supports radios with built-in Bluetooth (no Bluetooth adapter required) & POC (Push-to-Talk Over Cellular) Apps. Complete kit includes the NIGHTHAWK Lapel Microphone, your choice of earpiece, one medium Fin Ultra Ambi ear tip, USB cable, wall charger & optional Bluetooth radio adapter. 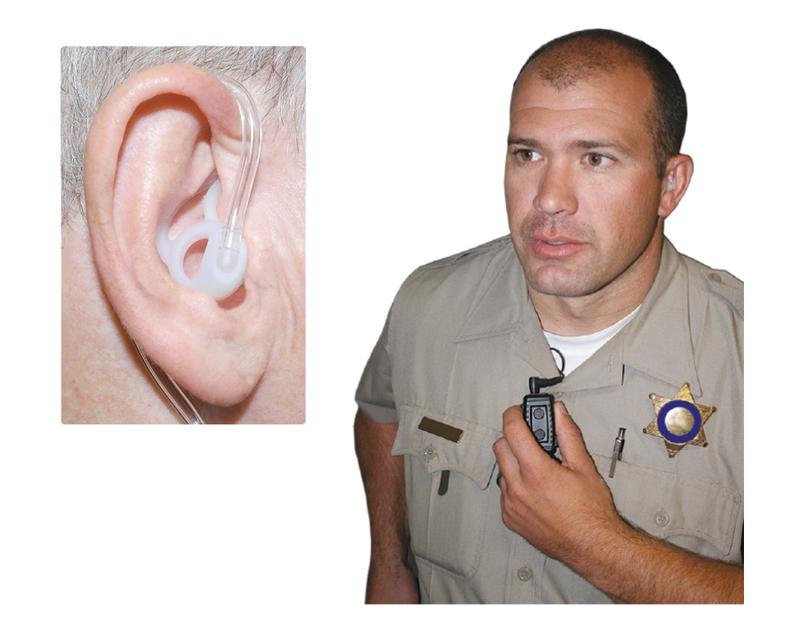 Body-worn microphone with acoustic airtube removeable earpiece for improved comfort & safety. All day operations on a single charge. Talk time 12 hrs. Features the soft silicone Fin Ultra™ Ambi eartip, our most comfortable ear tip to date. 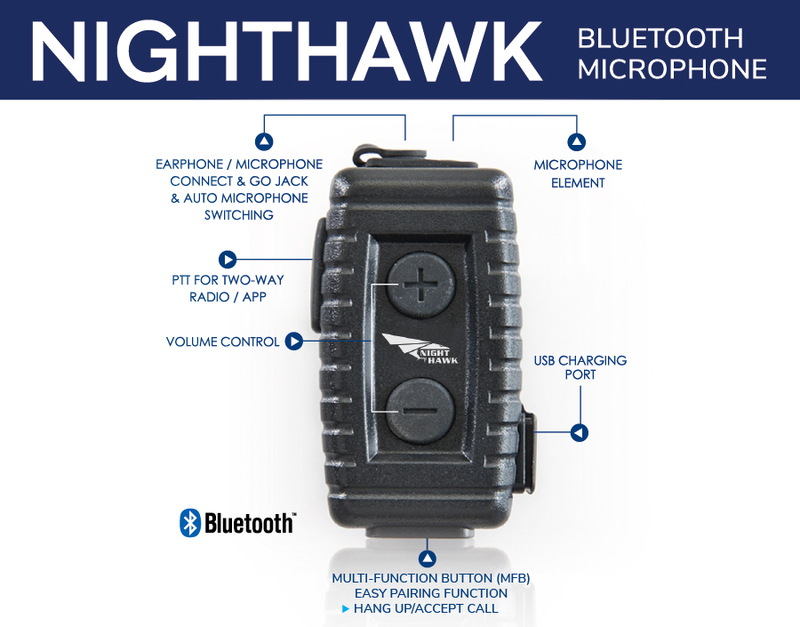 The Nighthawk is the ultimate body-worn microphone designed specifically for law enforcement. 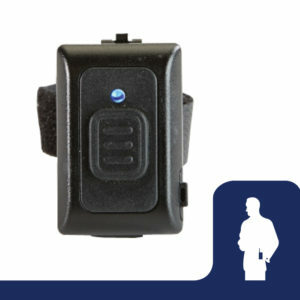 Features like durable housing, a strategically placed pairing light, full-shift talk-time & no wires makes this unit the ideal choice for the law enforcement industry. Learn more about all the features and benefits here.